As the Affordable Care Act (ACA) rolls out across the country, students are asking what affect will this law have on me. The Affordable Care Act, commonly known as Obamacare, seeks to make insurance easier to compare and buy and by creating online marketplaces in each state. Individuals can compare plans and purchase the package that works best for them. Students can remain under their parent’s health insurance until they turn 26 (even if married). Some Colleges and University are offering a comprehensive school-sponsored plan that meets ACA requirements from outside insurance companies. 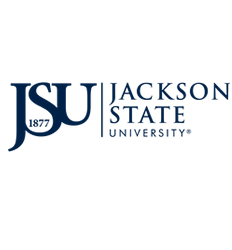 Students interested in enrolling in a comprehensive plan should email the following information to deanofstudents@jsums.edu Name, J#, classification, e-mail address, and telephone number. If you can’t afford insurance, and your income is within the state mandated range, you may be entitled to Medicaid or the Children’s Health Insurance Plan. There are a variety of options available to students in the private market. Catastrophic coverage is a popular option for adults under 30 years of age. The plan is less expensive and generally provides coverage for major events such as hospitalizations or surgery. There are pros and cons to each of these options, and it’s important to carefully assess your options before you make a decision. Prices and benefits vary widely. If you decide not to get health insurance, you or your parents may be assessed a penalty. The Affordable Care Act mandates that most people have insurance. However, individuals who earn less than approximately $10,000 annually are exempt. Most college student falls into this category. However, if you are claimed as a dependent, the penalty is based on your parent’s income. Please visit the website below for the Open Enrollment deadlines. If you haven’t enrolled in coverage, you generally can’t buy Marketplace health coverage until the next Open Enrollment period for coverage the following year.